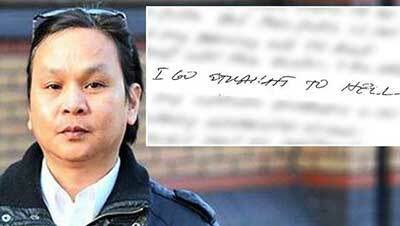 Victorino Chua, 49 years old, also already dubbed as the ‘poison nurse of Stepping Hill Hospital’ United Kingdom was found guilty and convicted on May 19, 2015, that cover attacks of 21 patients, and 2 of which was murdered at Stockport’s Stepping Hill Hospital. Chua is a Filipino with 2 children working in the United Kingdom to provide for the family. He was standing in front of the 6 men and 6 women of the jury who found him guilty of the said crime. Chua allegedly injected insulin doses into the medical products of the patients, such as the saline ampoules and the saline bags, while colleagues unwittingly administers them to the patients in the 2 acute wards of the hospital working as a night shift nurse. Two victims namely Tracey Arden, 44 years old and Derek Weaver, 83 years old died because of the said attacks, while one patient named Grant Misell 41 years old suffered in catastrophic brain injury. Insulin is used to regulate blood sugar levels in diabetics, but in cases of the non DM patient, the effect of insulin crashes their sugar levels that may cause fatal effects. None of the patients of Chua is diabetic. Captured on CCTV is Chua a few weeks after carrying out most of his insulin attacks. A bitter nurse confession was actually found in the kitchen drawer when Chua was arrested in his home in Heaton Norris in the year 2012. He made a 13-page confession with a gist that say ‘he is going straight to hell no question about it’ for his deeds. What is more heartbreaking is the question, if Chua was actually really qualified to be a nurse. 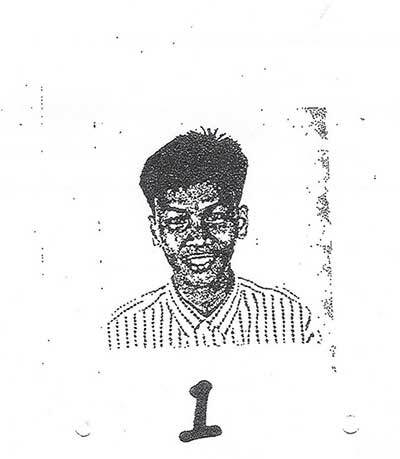 Detectives unearthed documents that suggest 3 different versions of Chua’s medical records when they visited the Philippines, there was a certificate that say he passed the competency test after a year in his nursing career, the certificate show a man smiling, showing success in his nursing exams only that the man in the image does not look like him. The authorities had strong suspicion that Chua’s qualifications are actually bogus and that he may have paid someone to sit for him in the exams. This has made the Nursing Competency Exam System in the spotlight, though these are still pure allegations. Chua profusely slams the accusations and the evidences against him as ‘circumstantial’. In a statement issued, Chua said that he is completely innocent of any wrongdoing. He said that he has every sympathy for all the victims. But it’s too late, he is now convicted of 35 years imprisonment, and will only be granted with parole when he is over 80 years old already. What makes the UK nurses community heat up is the fact that the dailymail.co.uk released an article that might have been racist in the part of the whole nursing community not only in the United Kingdom, but also in the Philippines. They started questioning why the NHS still hires nurses for the UK and insists that it’s not racist to worry about foreign care to their land. Nurses are pleading to sign petitions that will not allow the chief editors of the said media to publish articles that typically generalised Filipino nurses having a bad image. The image that the Daily Mail portrays is somewhat uncalled for knowing that there are more than 20,000 professional nurses still working in the United Kingdom. It has become downright stereotyping and has become dark in all its sense. We would urge nurses of any nationality to sign a petition that asks the Daily Mail UK and other media to be more unbiased about their news regarding the case of Victorino Chua, not allowing any publications that would harm the image of the nursing profession as a whole specially in Filipino nurses. Please sign the petition in the website link below. Chua might have been guilty or not of the crimes against him, but that does not put any right to any media to generally include the whole community of Filipino nurses that wholeheartedly work well. Just Imagine how many Filipino nurses are manning hospitals around the world. We urge all the Filipino nurses and foreign nurses as well to be together during this time of need. This will also be a wake up call to the Filipino Nursing Community to take a good look again in the system, and check for loopholes and inadequacies when it comes to qualifying nurses; from the exams to the qualifications in the agencies. Pro-active intervention is very much needed. Cynthia is a registered nurse, and used to practice nursing for 4 years in the clinical area. She became a certified renal nurse in 2 years taking care of the terminally ill renal patients of Mindanao Medical Centre. She is now a dedicated mother of 2 girls with a passion in sharing her real life experience as a nurse in the clinical area and in real life and all about the profession through writing.